Boxes, packing, bubble wrap, and foot traffic all coincide with one type of activity; moving day. Moving day means just that, moving. It is no surprise that throughout the day the foot traffic on your flooring is not a top priority, yet this is when it can become dirty. Below are our top tips for keeping your flooring clean during moving day. Depending on the colour of your carpet, it is one of the easiest things to become unclean during the moving day. Instead of doing the unpractical thing of asking everyone to remove their shoes as they enter your home, we suggest purchasing self-adhesive, non-plastic film or reusing old bed sheets or towels. By providing a covered area over carpet during the move, there is a limited chance of the carpets becoming dirty throughout the day. Similar to carpet, hardwood or laminate flooring must also be covered to reduce the chance of scratches. Moving the larger furniture like fridges, couches, and beds are increased chances of accidentally scratching your hardwood floors. By laying down film or old bed sheets reduces the chance of the floors filling up with scratches, plus it will help with stress levels. If you do use sheets or towels, make sure that they are securely tapped to the ground to limit the chance of anyone tripping over them. If you do not have a spare supply of old sheets or towels, then an alternate solution is to place floor mats at the major entrances to your home that the removalists will be using. By placing mats next to the entrance of your home, this will limit the amount of dirt that enters your home and thus gets onto your flooring. Having all of the smaller boxes and furniture near the front door is ideal for moving day. 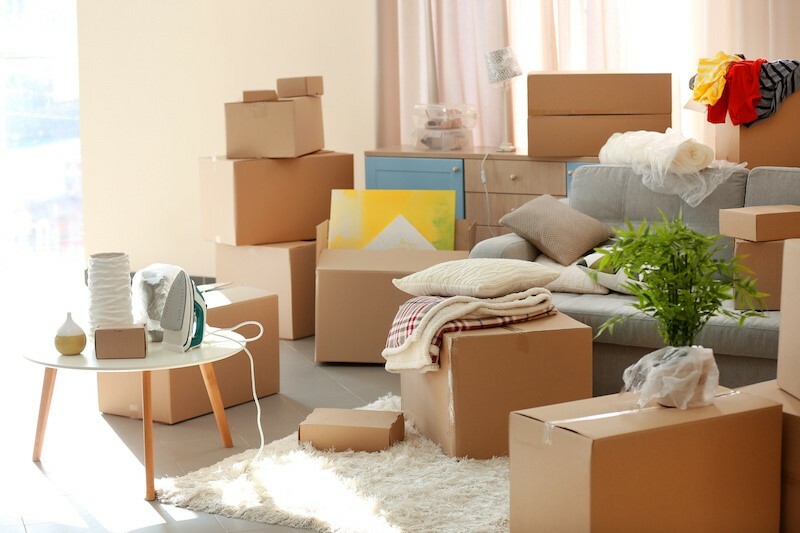 It saves the removalists time for having to go through the home to get all of the boxes and it also reduce the amount of foot traffic that goes through the home. If any of the tips provided in this blog have been useful to you, make sure to check out our other blogs. If you have any inquiries to flooring options when you move, be sure to look at our products included on our website today.